You were born to be WILDly creative. Your Gift is Your Story. embody your story. Embody your life. Ann Randolph, beloved teacher and award-winning writer-performer brings her signature style of workshops to the island of Kauai, offering retreats both as a solo teacher and as a co-teacher alongside other master teachers in various fields, combining to create one-of-a-kind retreat experiences on Kauai's breathtaking North Shore.  Kauai Retreats was created to provide a nurturing space where everyone can experience the transformative power of speaking their truth on the page, stage, and in life. Kauai Retreats are an invitation for you to discover your own unique and powerful story and the profound transformation that occurs when you speak it out loud. You'll learn how to trust your creative impulses, thus embracing all of who you are. By becoming the author of your own life and learning how to tell your own story, you will not only learn to craft your experience into a compelling narrative, but you will also unleash a sense of purpose in your life that you never thought possible. Ann Randolph creates a supportive, fun, and dynamic space in which to create - writing exercises, improvisation and experiential exercises serve as the foundation for us to expand our artistry and dive deep. Any person who has ever wanted to expand their range, write a memoir, speak their truth, let go of an old story, do a TED Talk, have a solo performance, play big, find their own voice and tell a new tale - Kauai Retreats was created for you. Kauai Retreats embraces the Hawaiian spirit of 'Ohana' and 'Aloha' by cultivating a supportive, loving community of like-minded souls, all of us building compassion toward ourselves and each other. Give to yourself the gift of creative expression. Have permission to speak the unspeakable. Overcome resistance, anxiety, and the inner critic. Expand your creative range by exploring new mediums. Discover where you and/or your character is stuck and create a new narrative. Gain confidence and trust in your creative impulses. Learn to let go of outcome and create in the moment. Tap into the limitless power of play and expand your imagination. Discover the joy of creating with unbridled freedom and spontaneity. Anyone wanting to return home, to be in touch with their most authentic version of themselves. The stories will be brilliant - the experience unforgettable. Join us for these life-changing workshops.